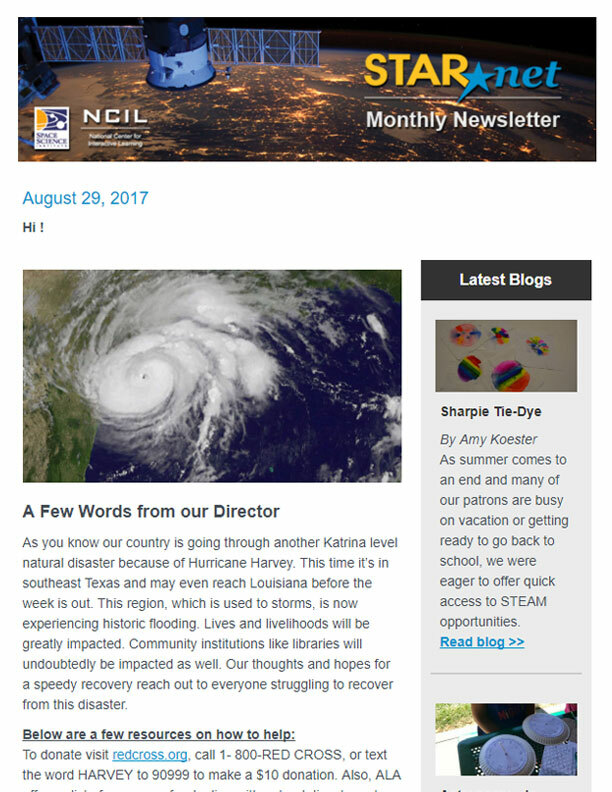 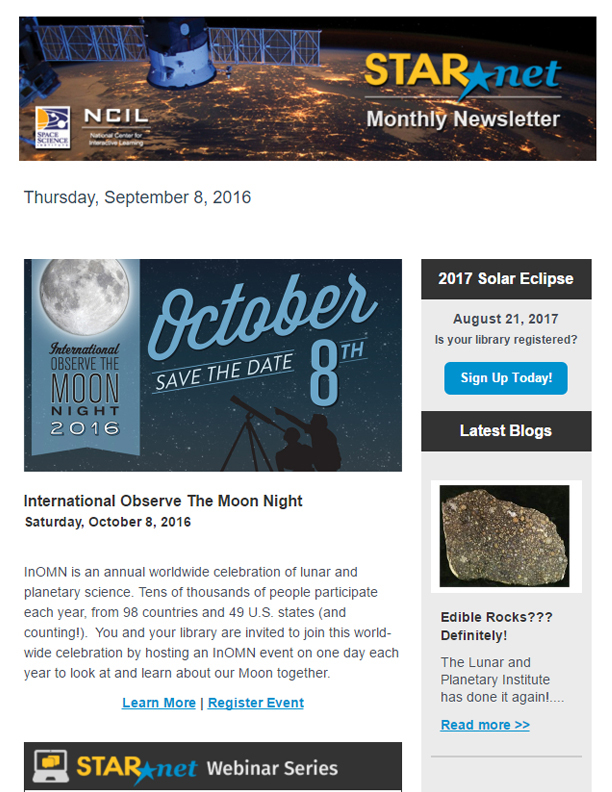 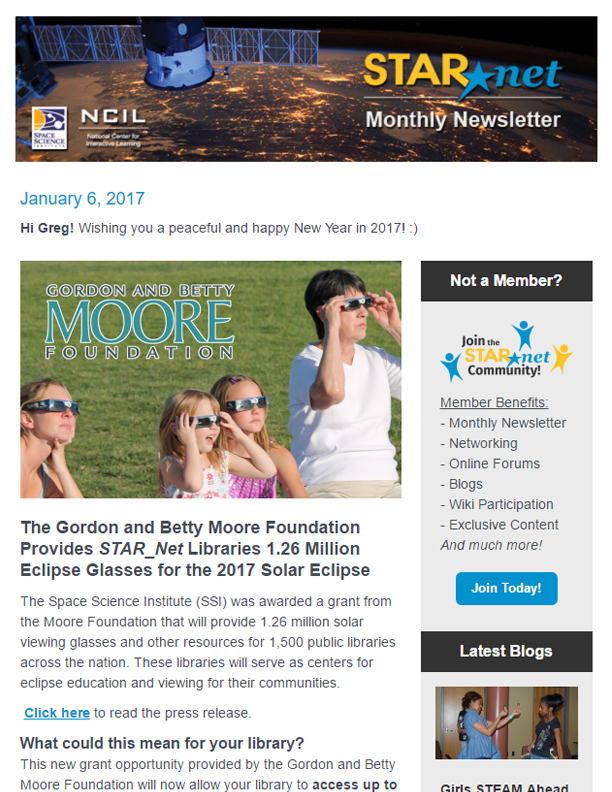 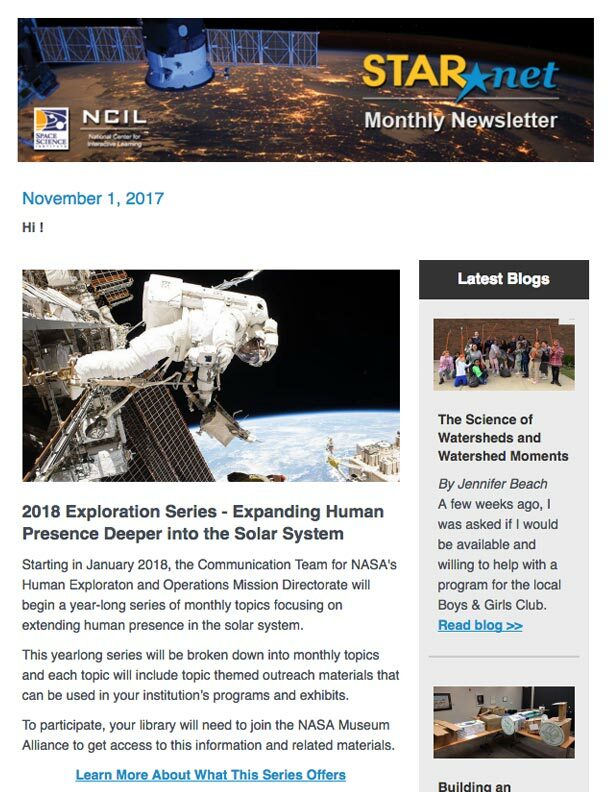 To subscribe to our monthly email newsletters, please click here to join our community! 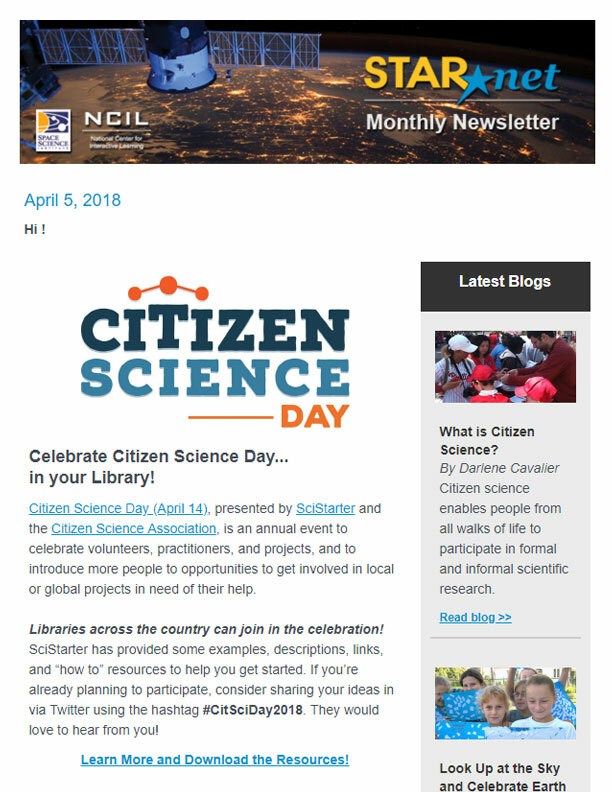 > Celebrate Citizen Science Day! 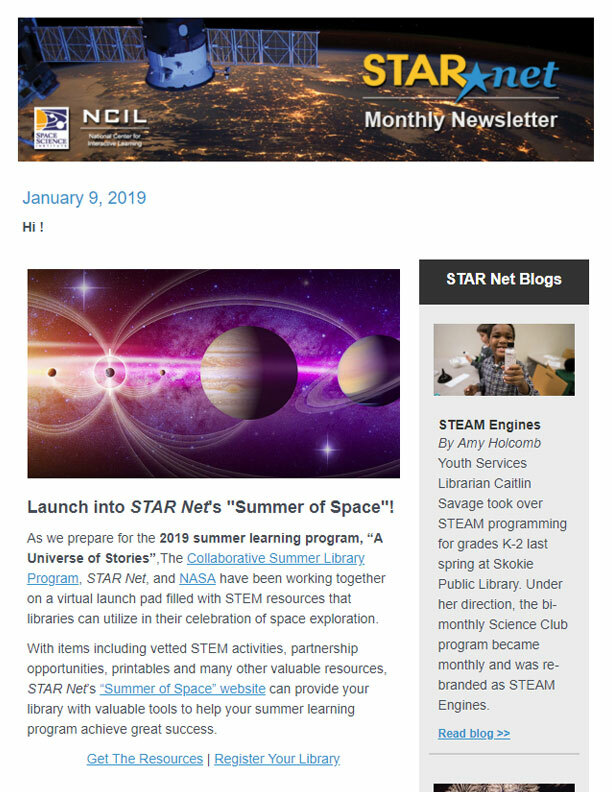 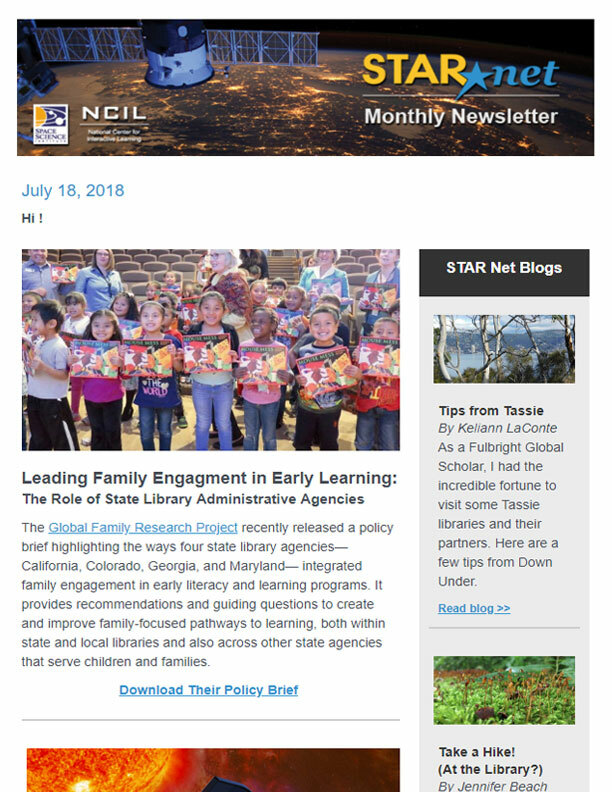 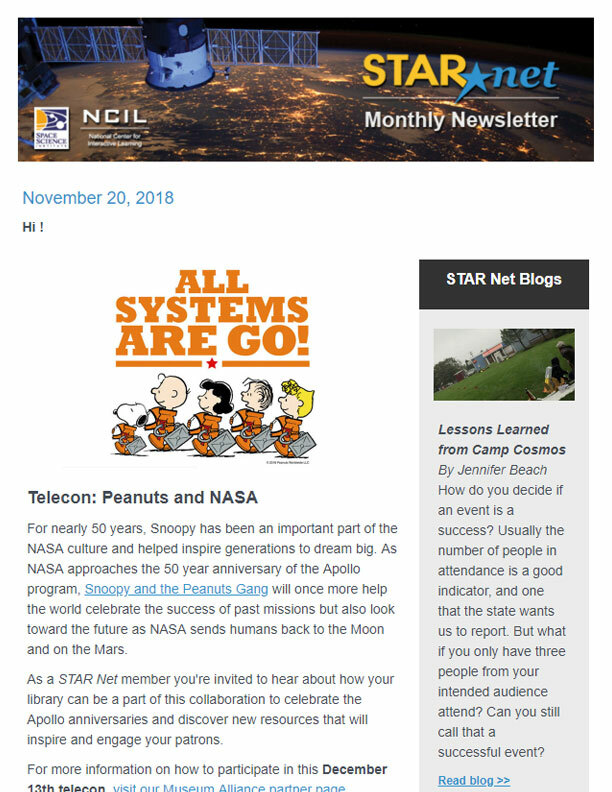 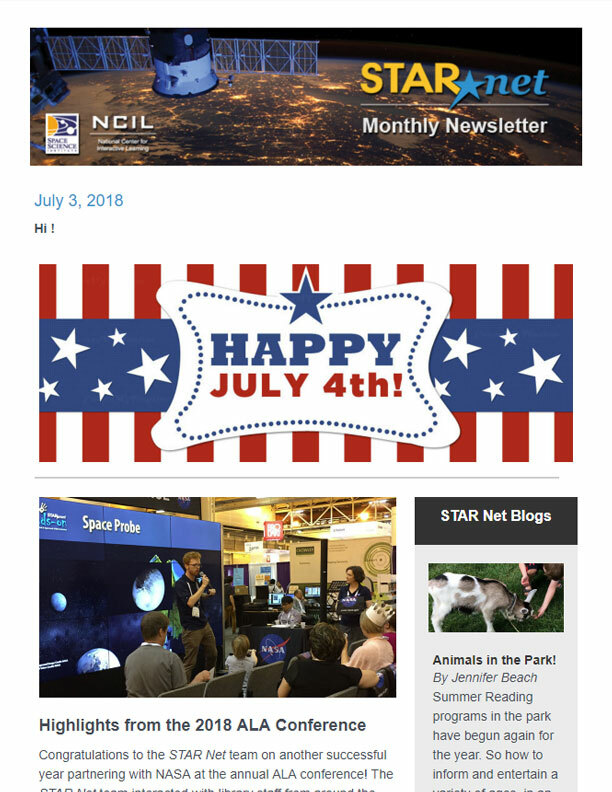 > Launch into STAR Net‘s “Summer of Space”! 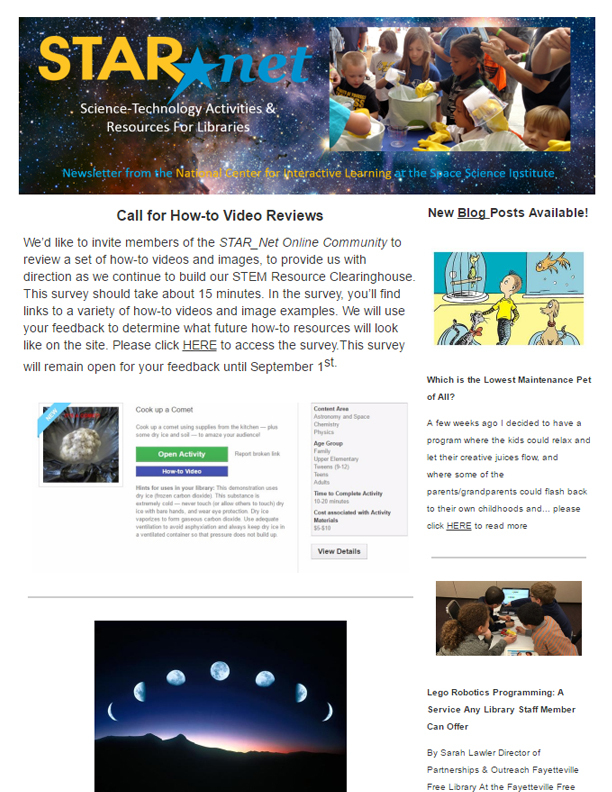 > Get Your Amazing Programs Published! 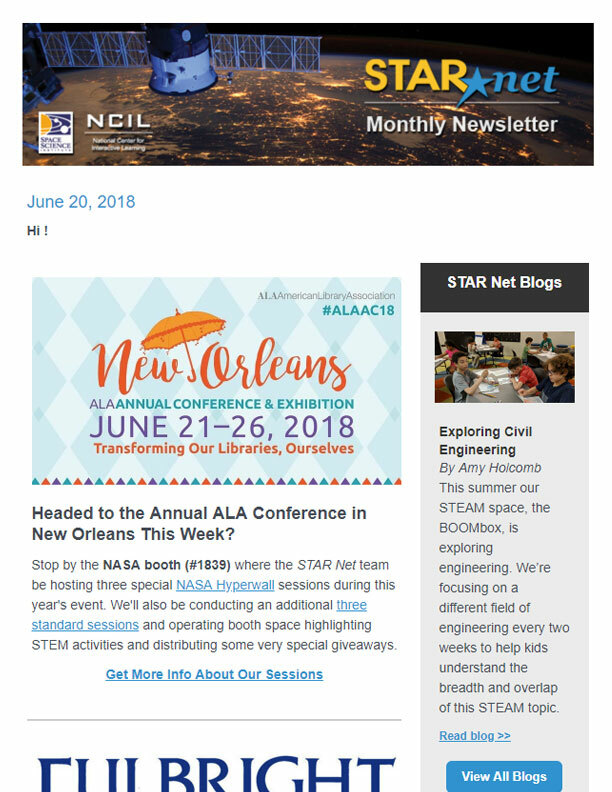 > Headed to the Annual ALA Conference in New Orleans This Week? 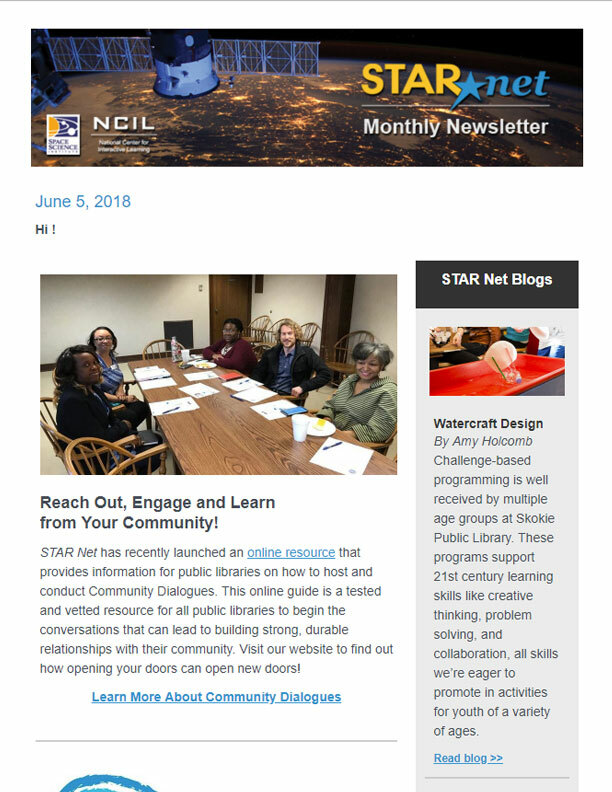 > Reach Out, Engage and Learn from Your Community! 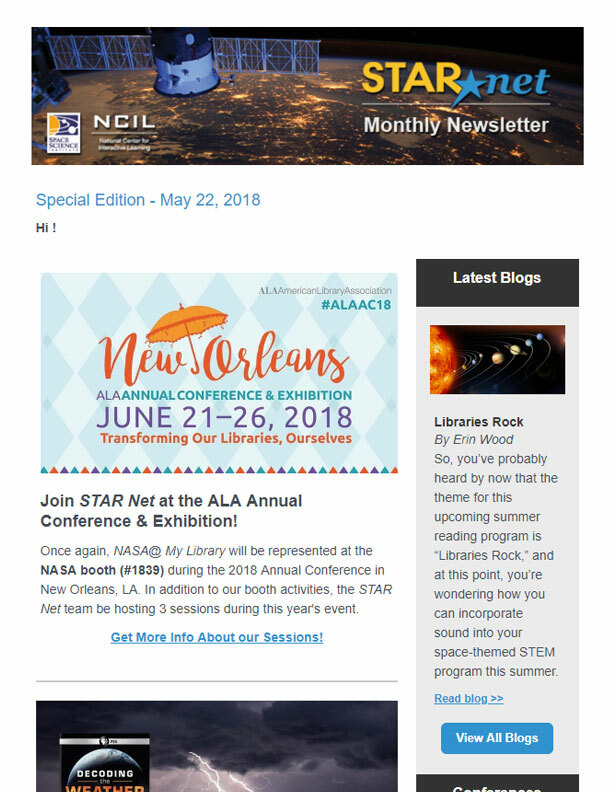 > Join STAR Net at the 2018 ALA Conference in New Orleans! 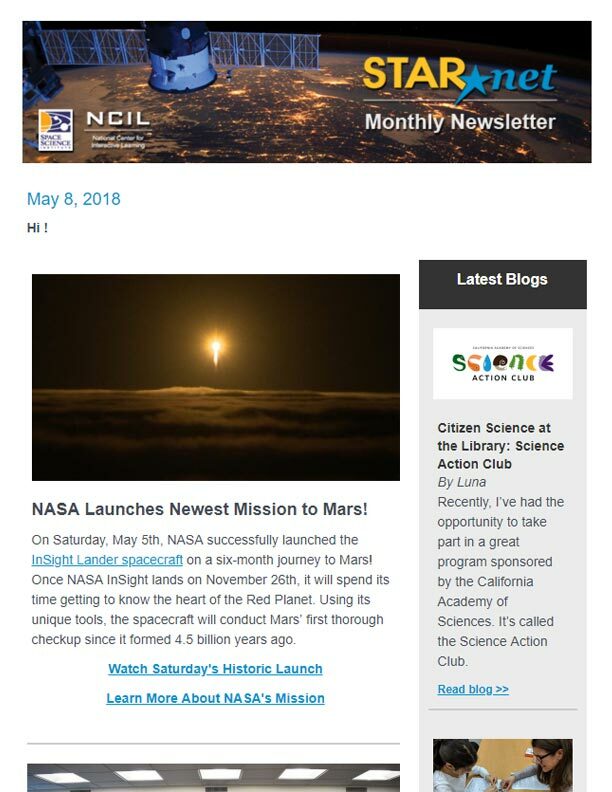 > NASA Launches Newest Mission to Mars! 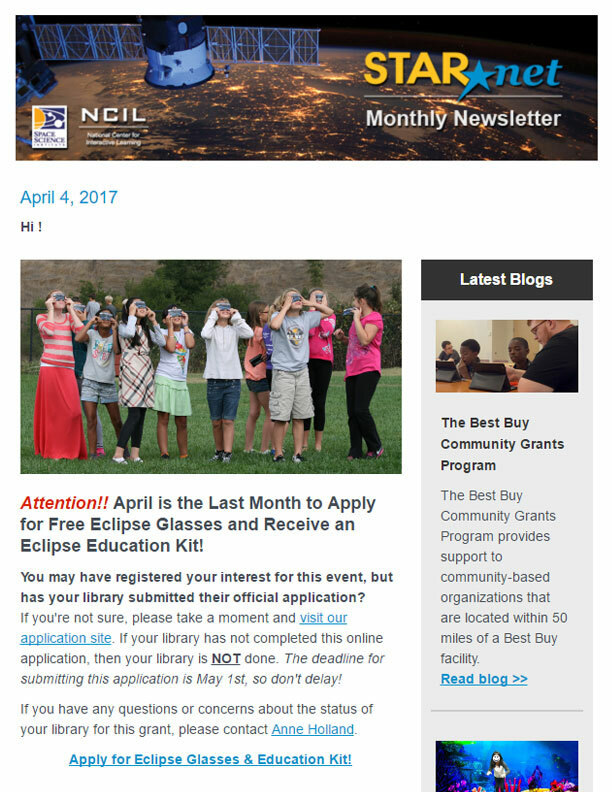 > Get Ready for Earth Day 2018! 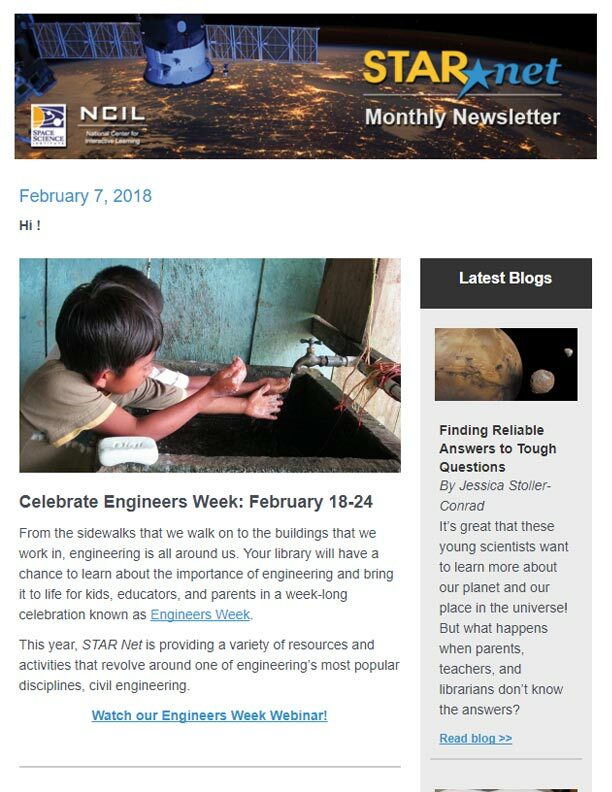 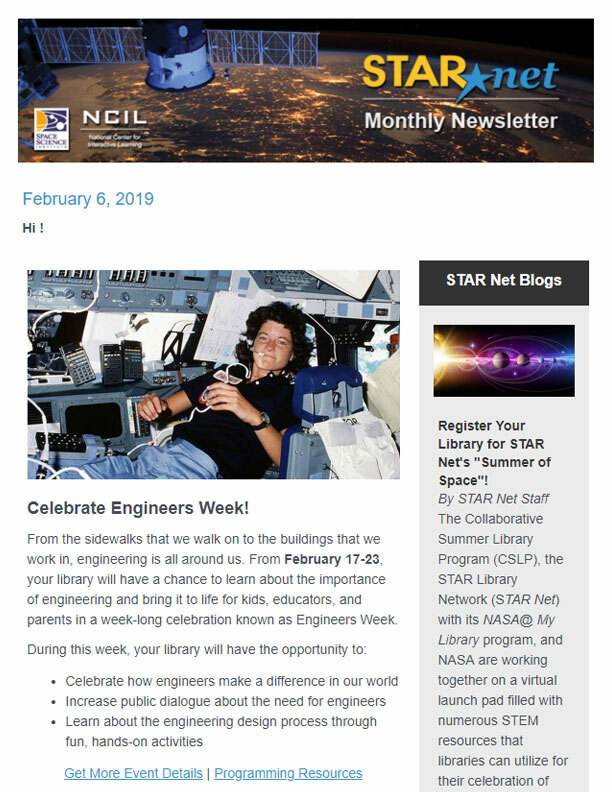 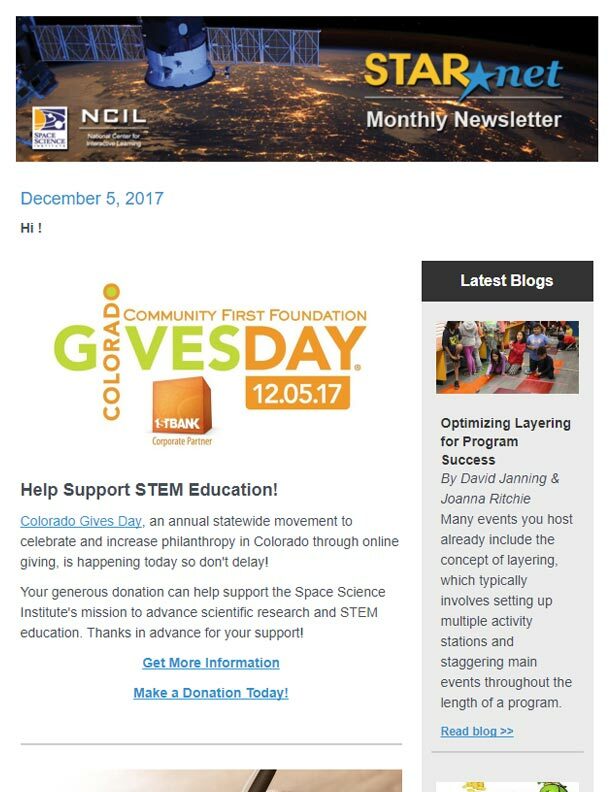 > Engineers Week: Bring Engineering to Life in Your Community! 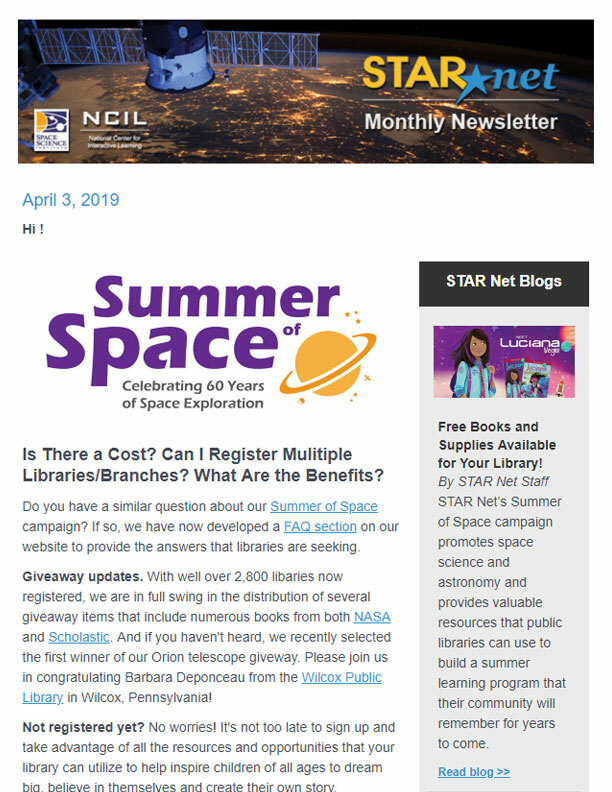 > THE FARTHEST: Voyager in Space – FREE DVD Available to Libraries! 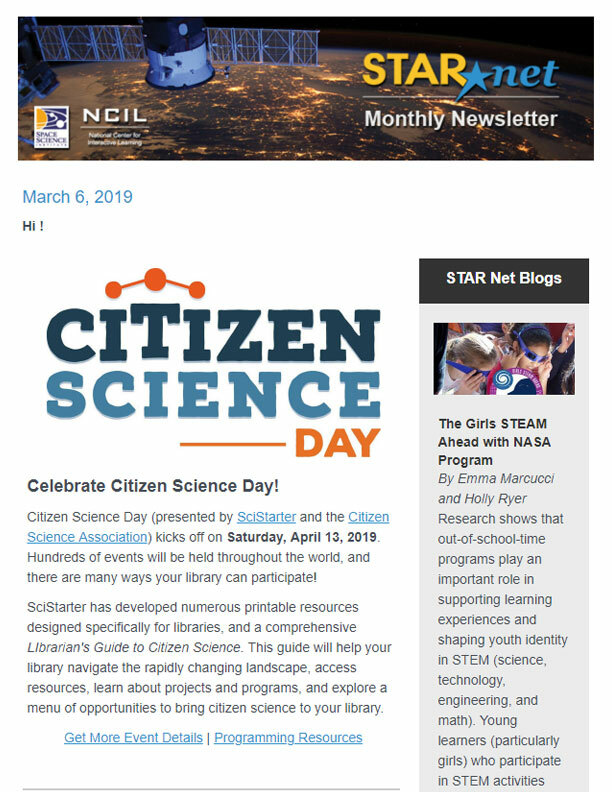 > Celebrate a “Day of Saturn” with NASA! 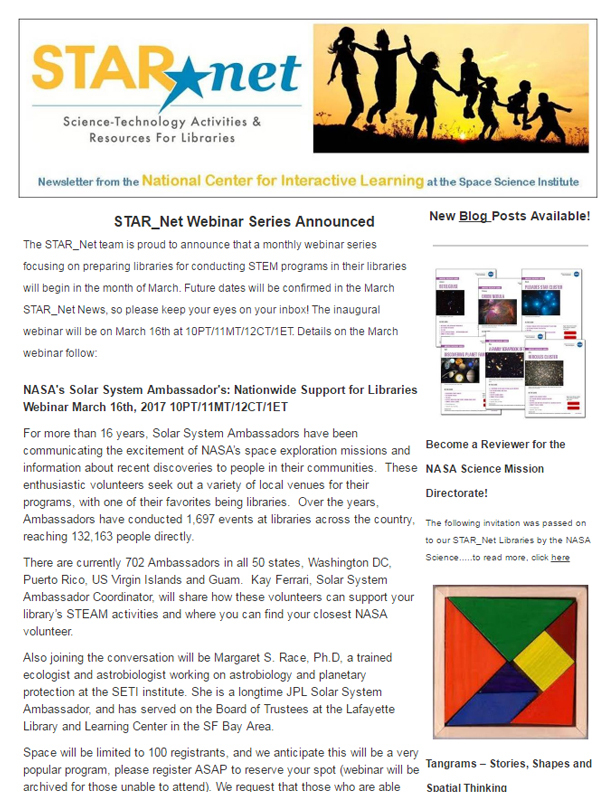 > Press Release: Visit Us at the NASA Booth (#4051)! 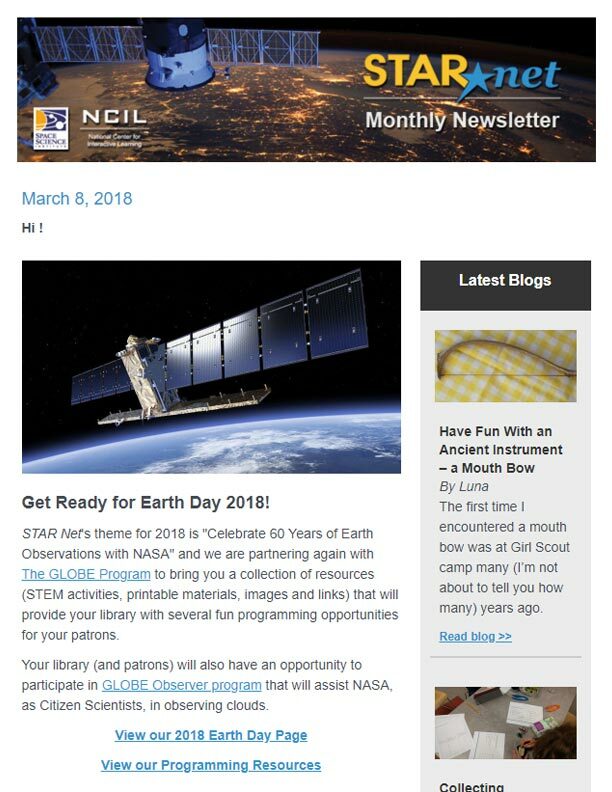 > Announcement: Join NASA in Celebrating Earth Day! 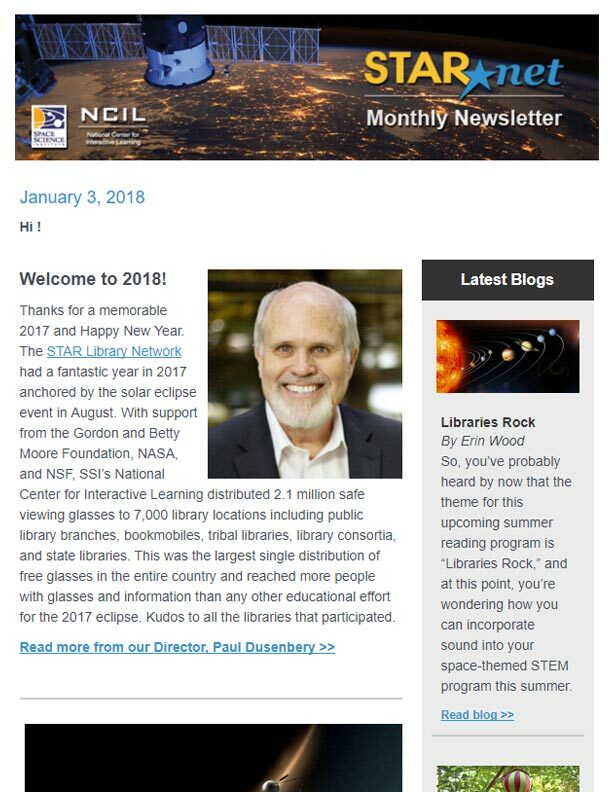 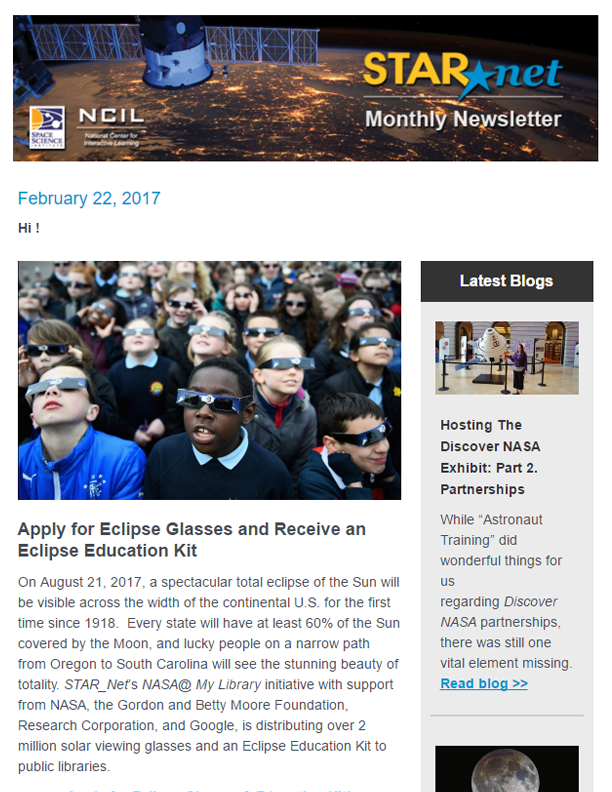 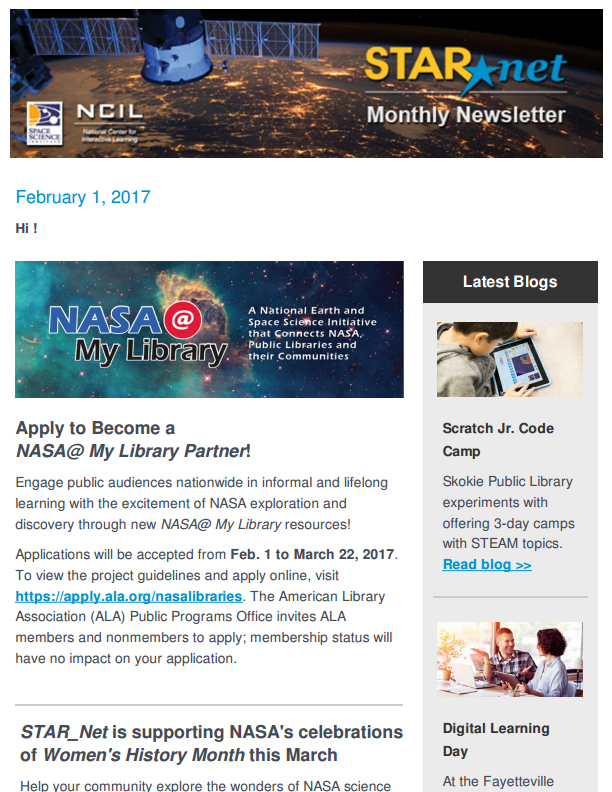 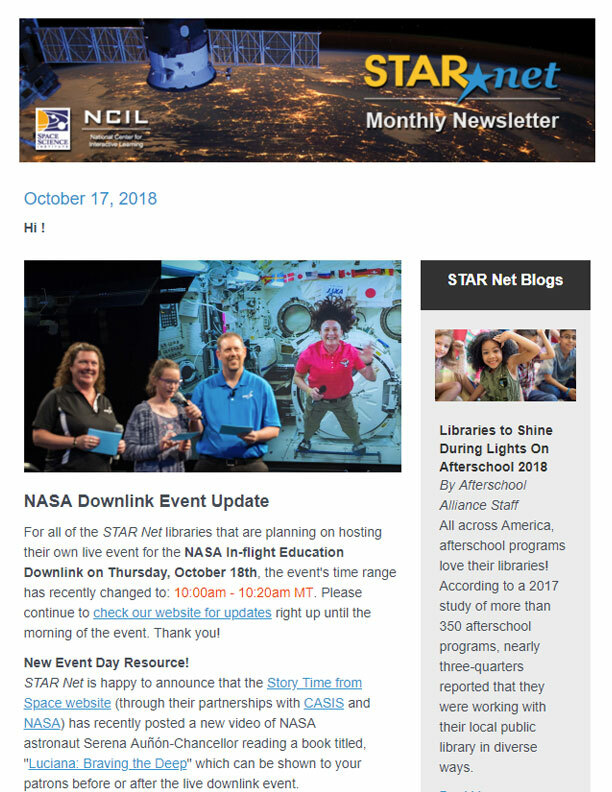 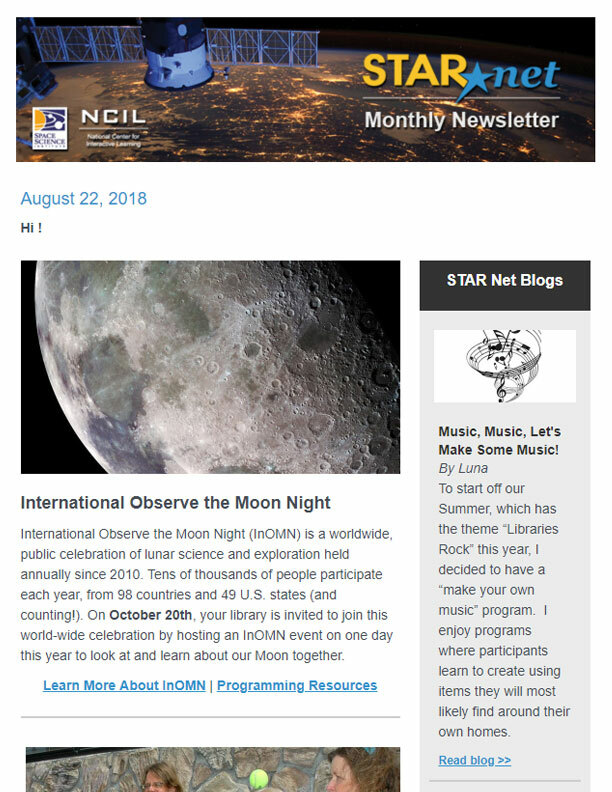 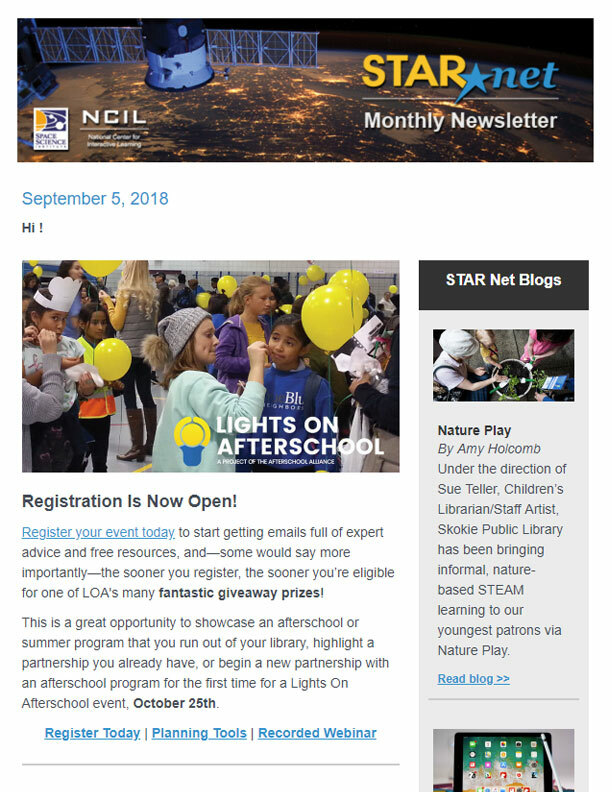 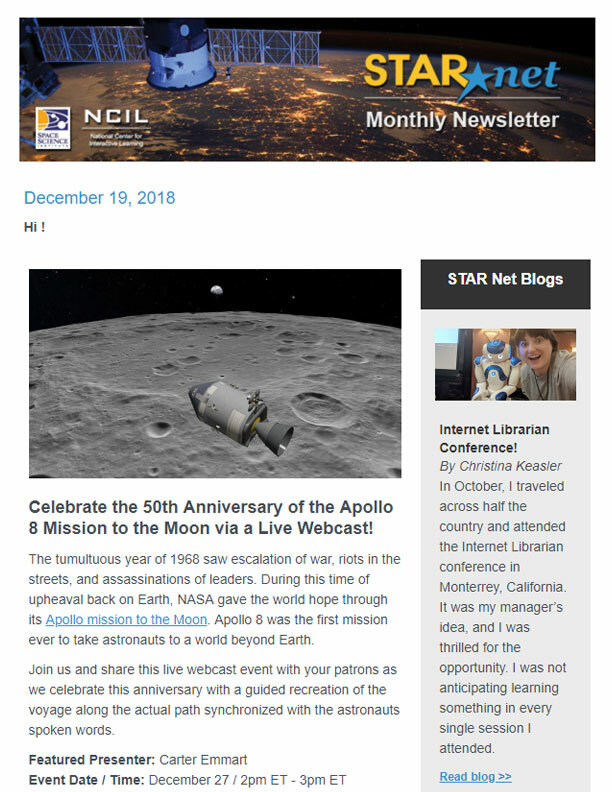 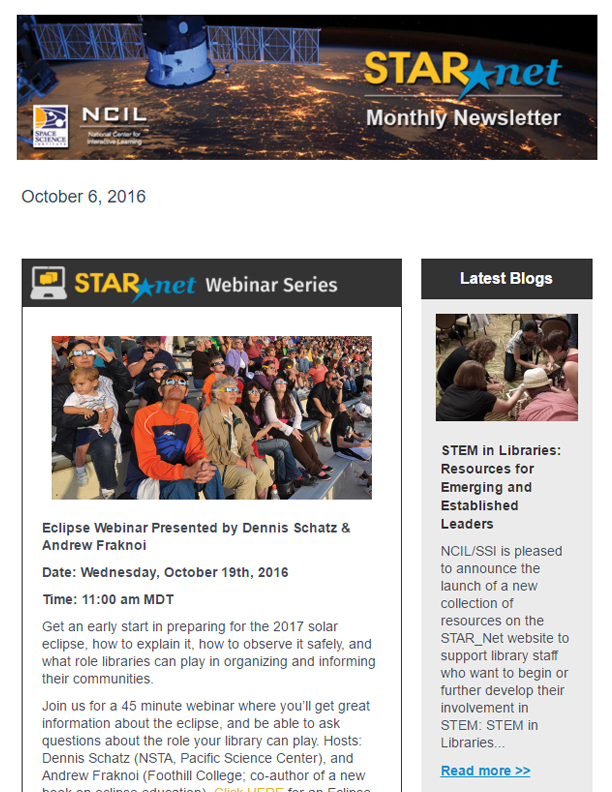 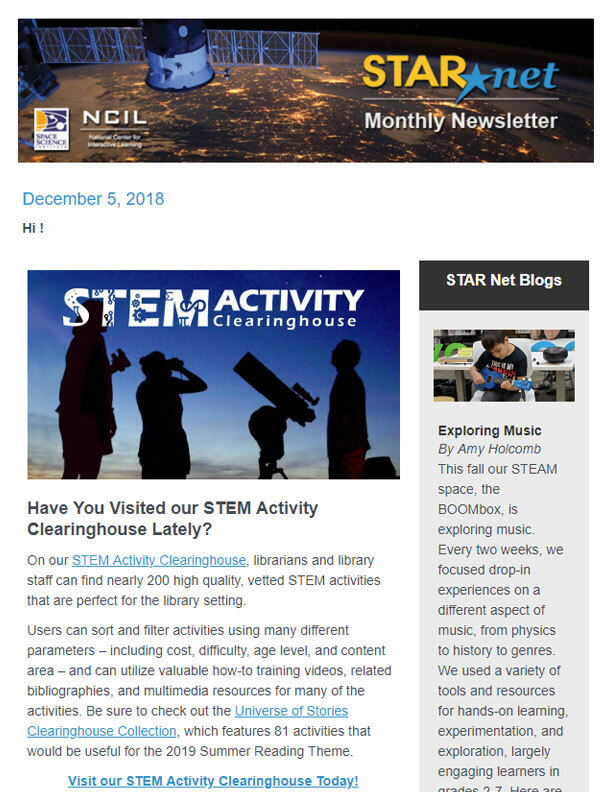 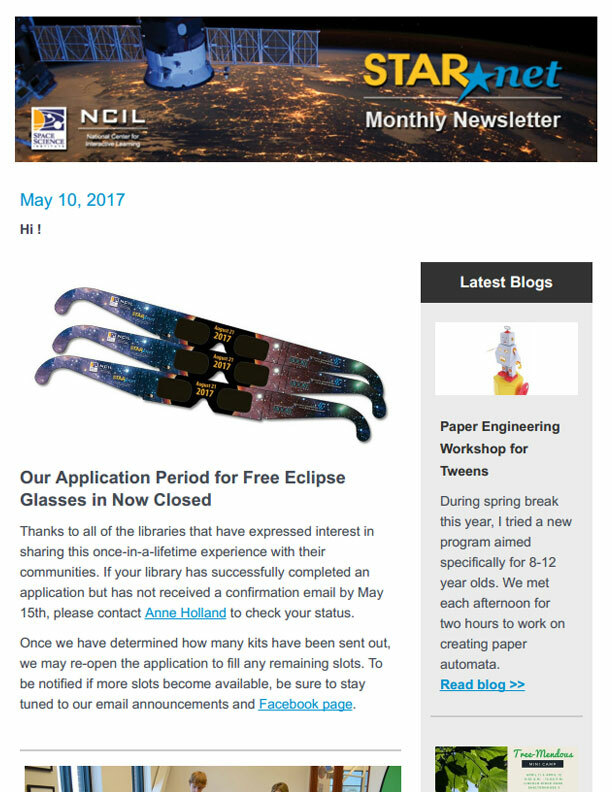 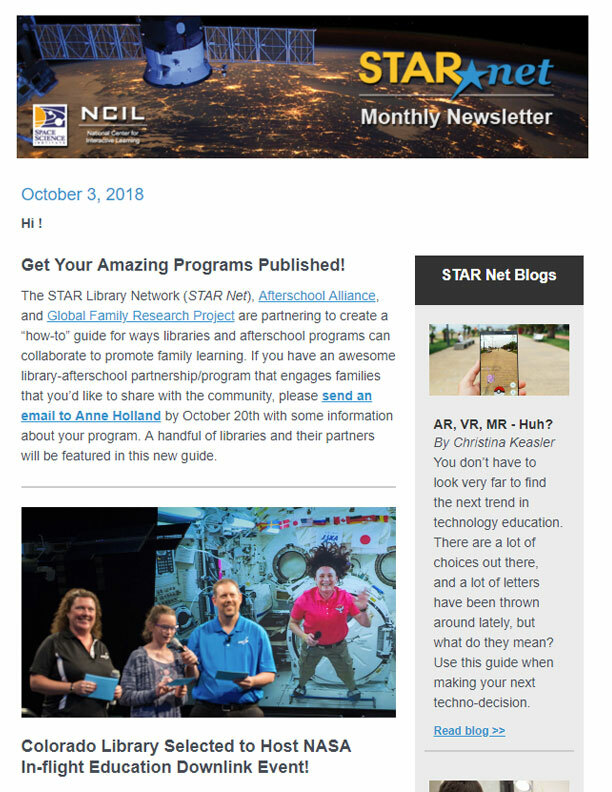 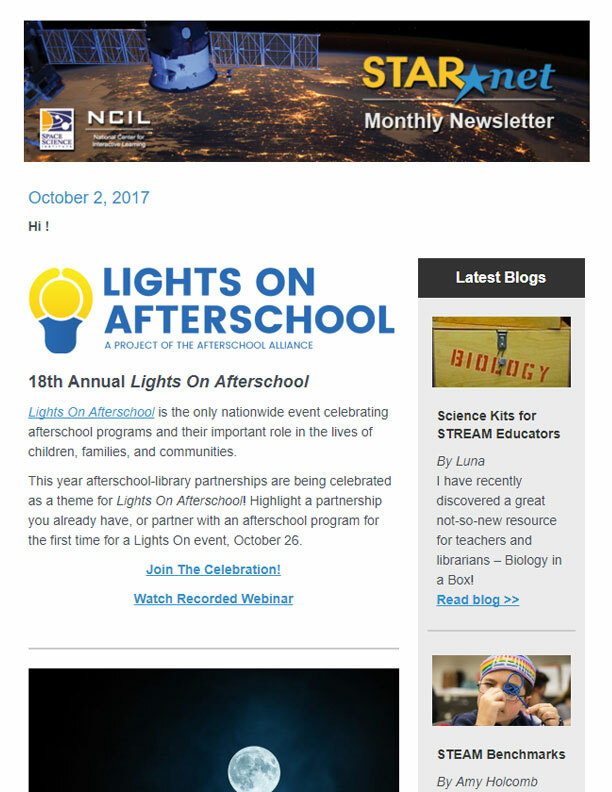 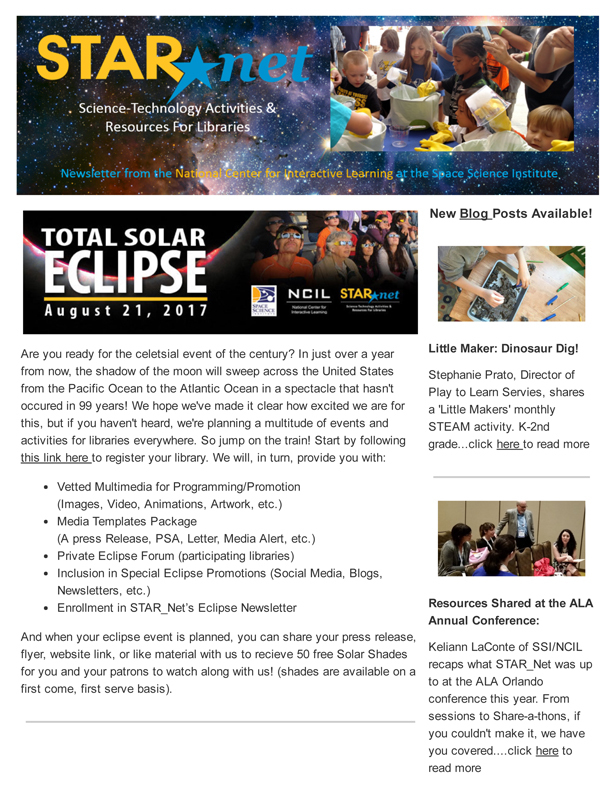 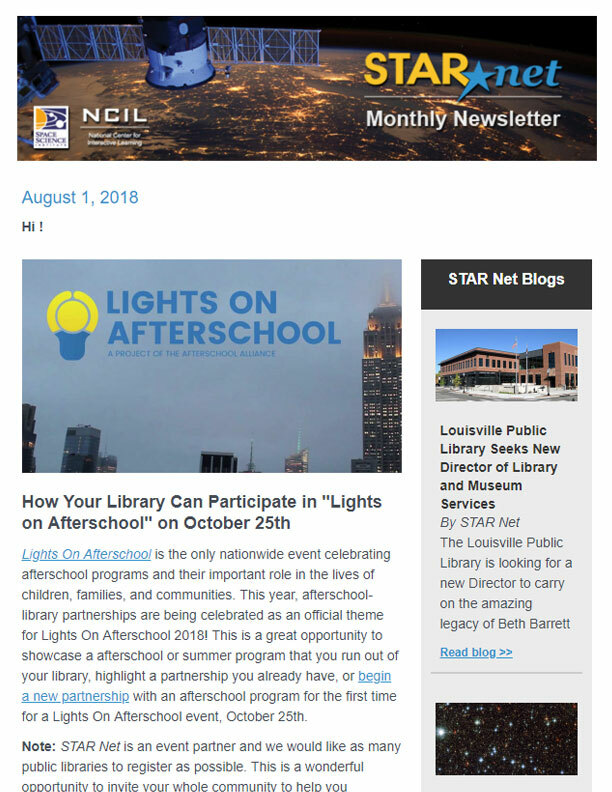 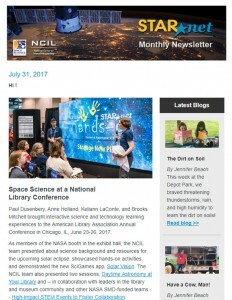 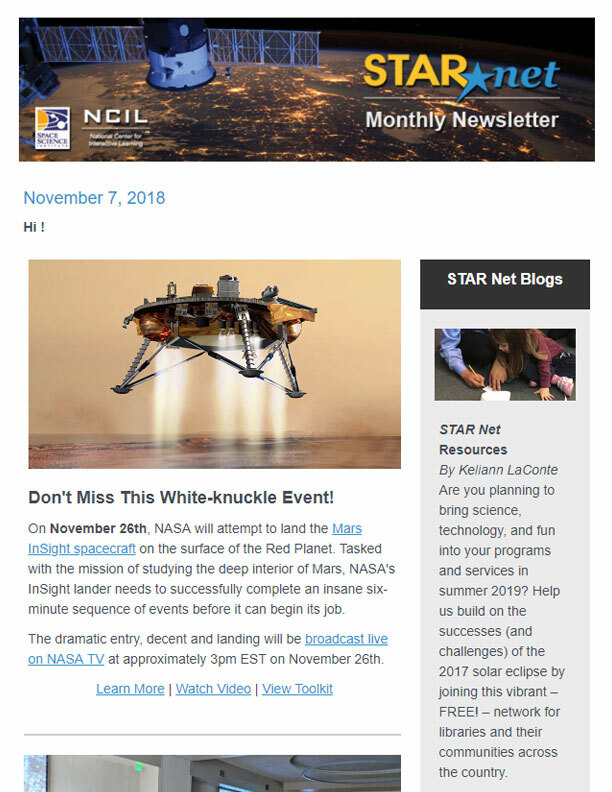 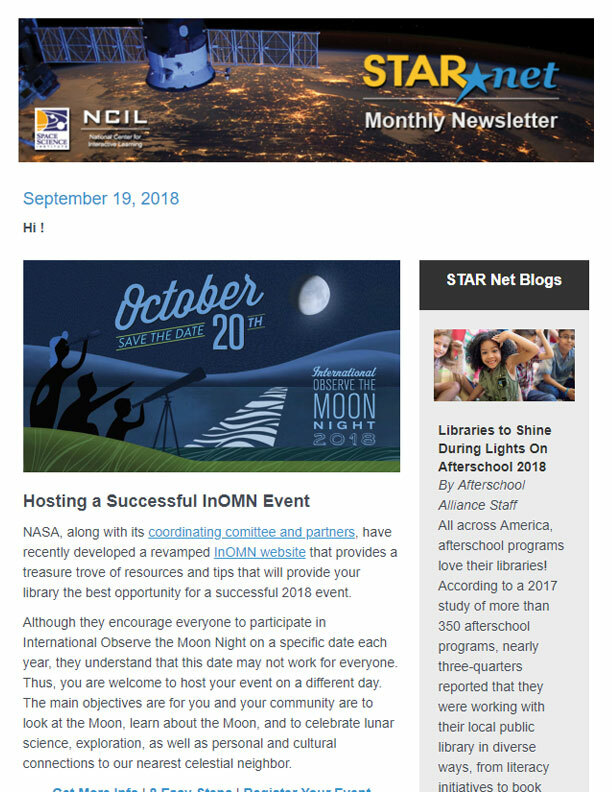 > Announcement: Apply to Become a NASA@ My Library Partner! 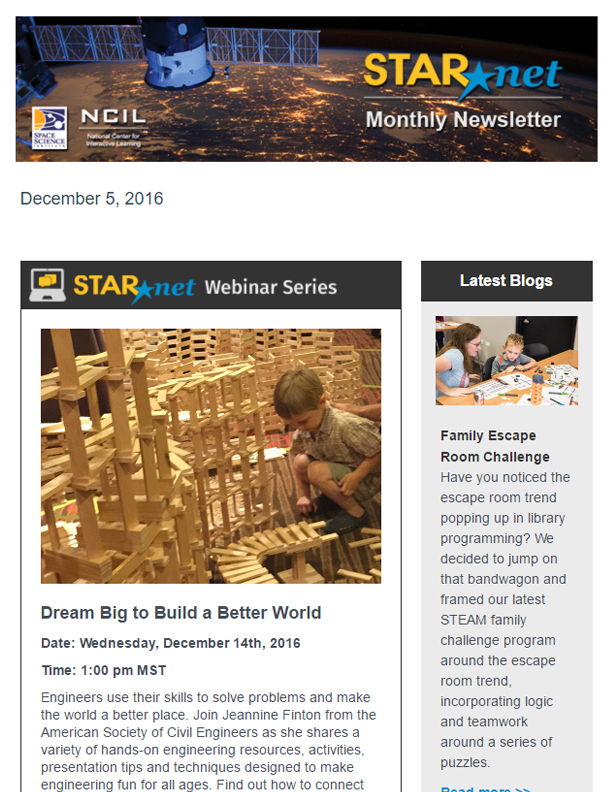 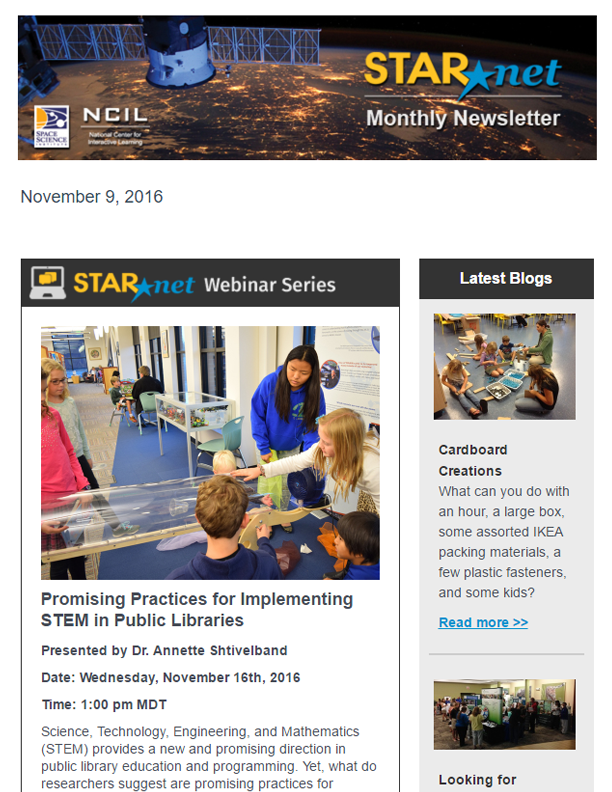 > Hands-on STEM Activity: Shake Up Your Build-and-Play Programs! 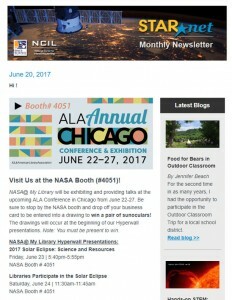 > Heading to ALA? 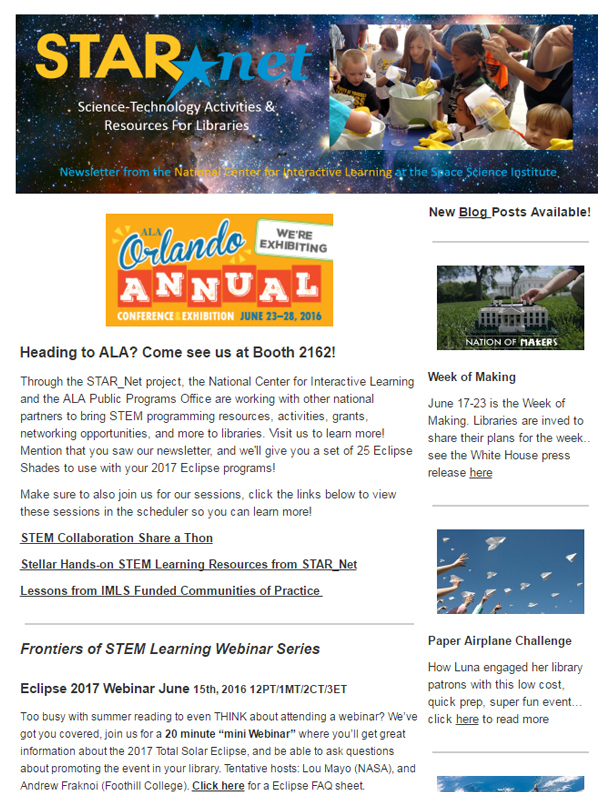 Come see us at Booth 2162! 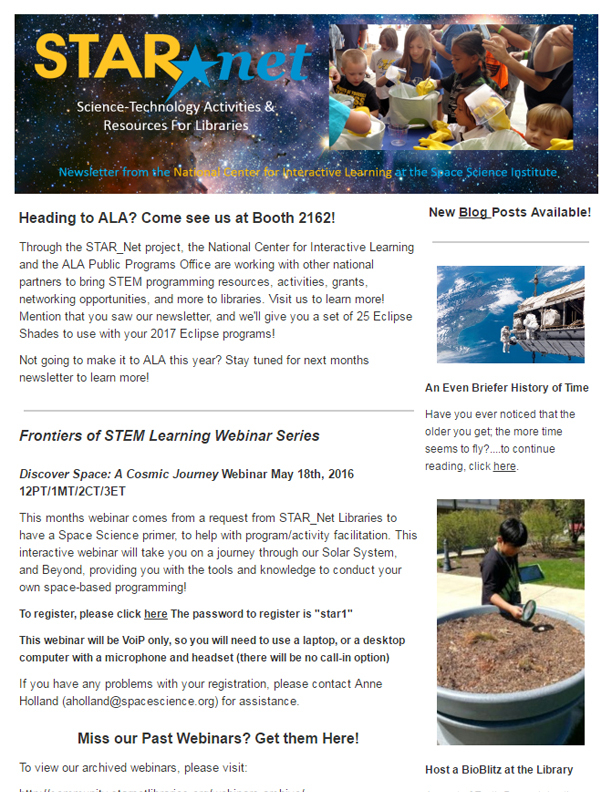 > Heading to PLA? 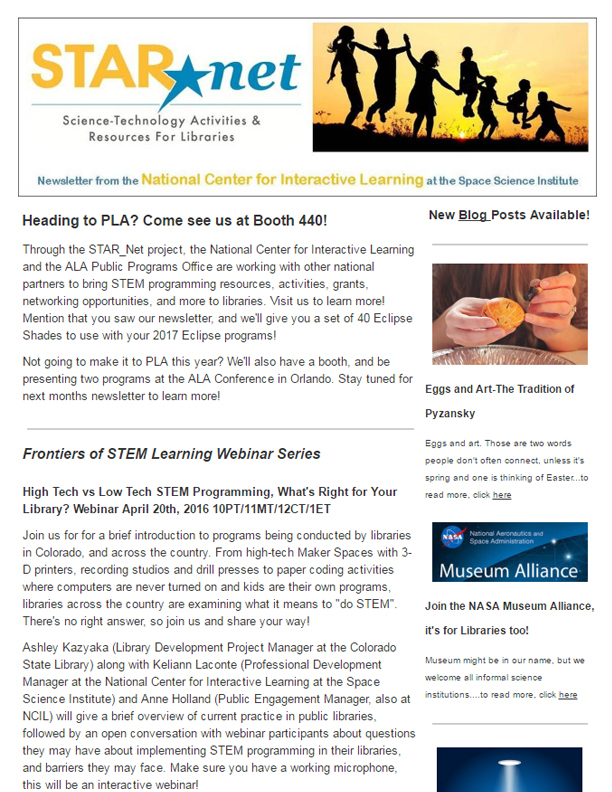 Come see us at Booth 440! 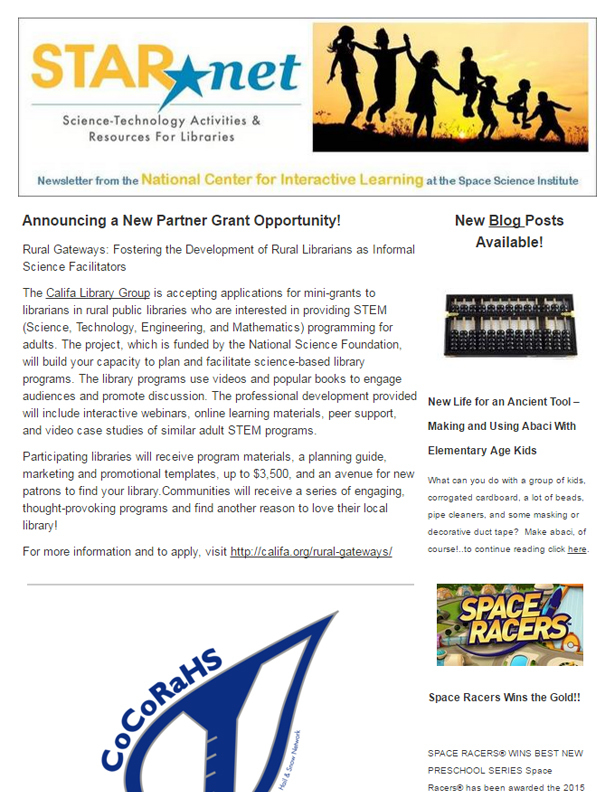 > Announcing a New Partner Grant Opportunity!